A beautiful fully restored Austin 12/6 Ascot - the kind of car that every bride would like to arrive at and leave their wedding venue in. 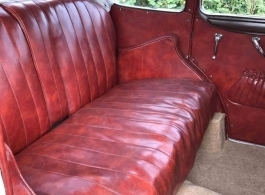 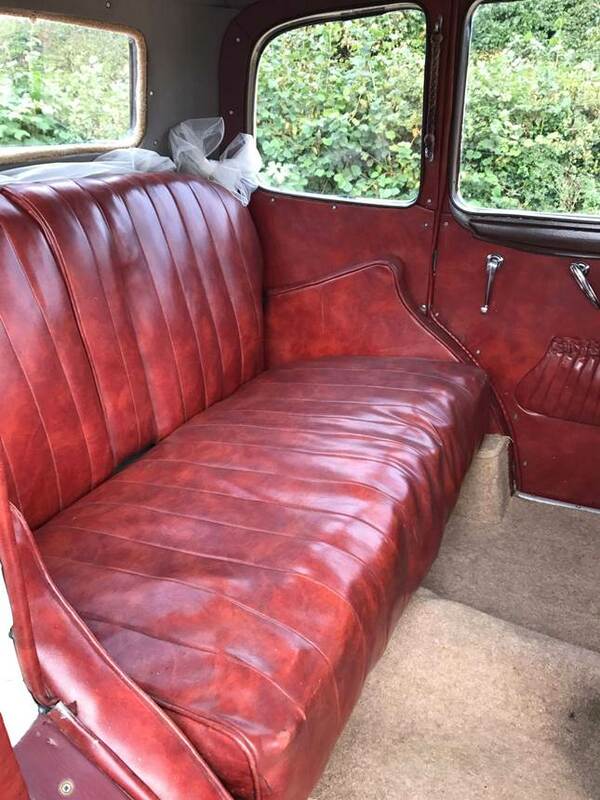 This Cream, vintage wedding car has a gorgeous Ruby Red leather interior that would compliment a traditional White wedding dress wonderfully. 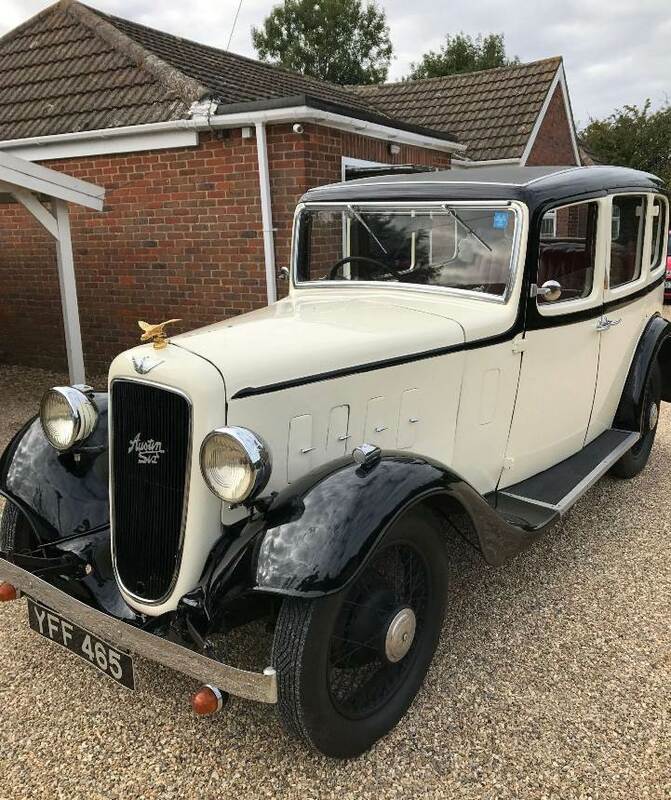 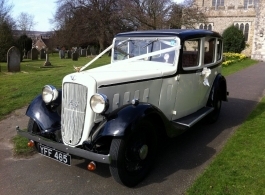 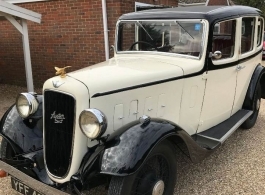 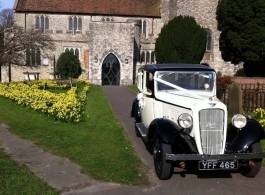 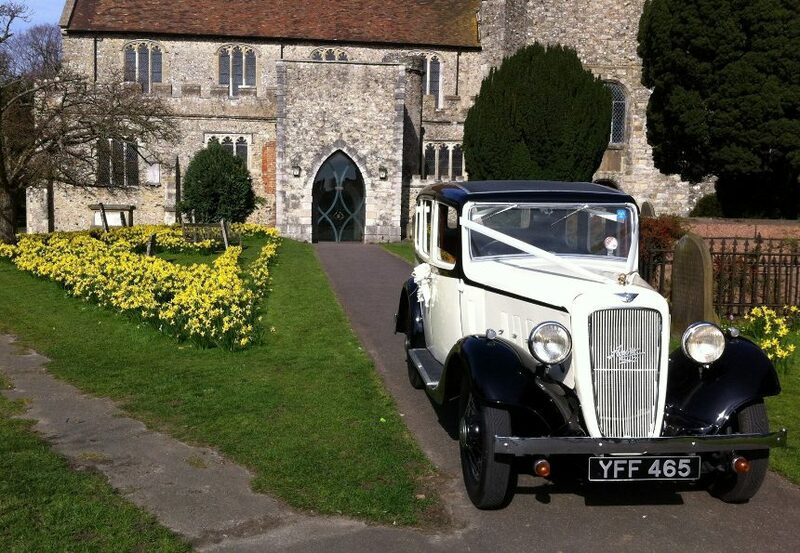 This 1935 vintage wedding car comes with a fully uniformed Chauffeur and a selection of different coloured ribbons for the bride and groom to choose from. 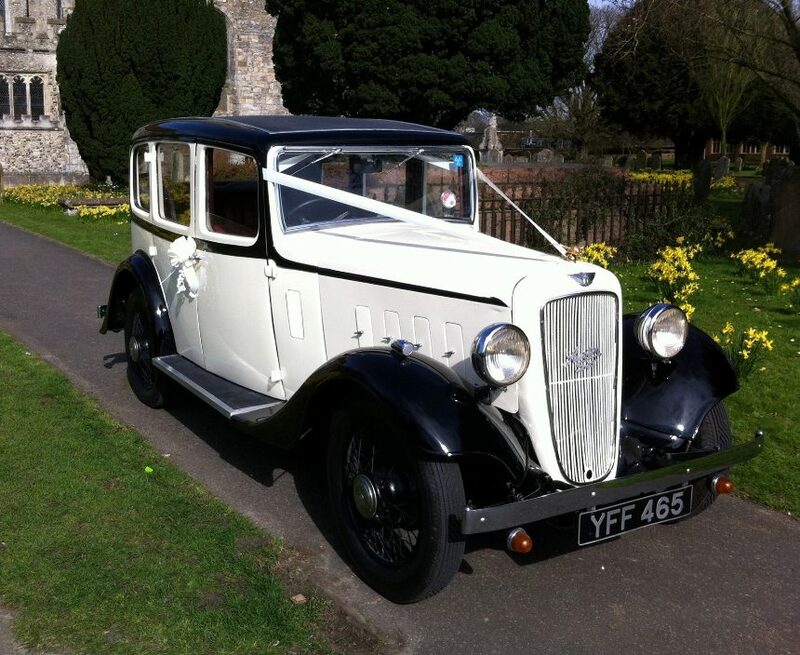 Please note: If you are looking for a 2nd car perhaps for the groom, bridesmaids, family etc then please see the Jaguar X Type under vehicle code 0506.